AP fuse delay increased from 0.01 to 0.033. The changes are introduced to search for an optimal value and may not be final. AP fuse delay threshold increased from 0.01 to 0.022, added Damage Control Party and Repair Party consumables, similar to those of Oktyabrskaya Revolutsiya. 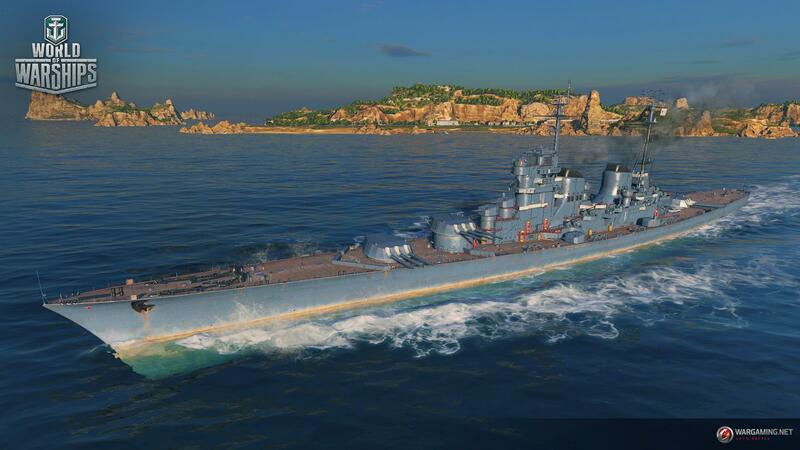 Plating increased from 25 mm to 32 mm, sigma value increased to that of the other tier X cruisers (2.05 instead of 1.8). These changes move the cruiser towards a better balance for the tier, especially considering she only has AP shells at her disposal. Main Battery reload time decreased from 10 s to 8.5 s.
Base firing range increased from 13.4 to 14.3 km, 152 mm AA guns average damage increased from 52 to 90. Base firing range increased from 14.7 to 16.7 km, sigma value increased from 2.0 to 2.05 and 152 mm AA guns average damage increased from 76 to 121.
cant wait for these new ships.. holding a blank check.